A French carrier strike group, including a nuclear-powered aircraft carrier and submarines, is taking part in the bilateral naval exercise 'Varuna 10' with the Indian Navy that started on Friday off the west coast in Arabian sea. 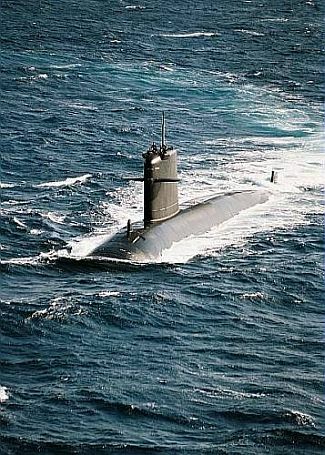 "In this edition of Varuna, the French Navy is being represented by ships from the French carrier strike group, including the aircraft carrier Charles De Gaulle, destroyers FNS Forbin and FNS Tourville, supply ship FNS Meuse and nuclear powered submarine FNS Amethyste," Navy officials said in New Delhi. 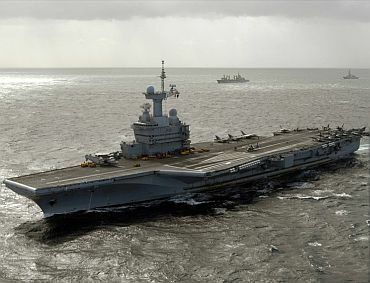 The aircraft carrier Charles De Gaulle is carrying its complement of fighter aircraft, Rafale and Super Etendard, airborne early warning aircraft E2C Hawkeye and integral helicopters. 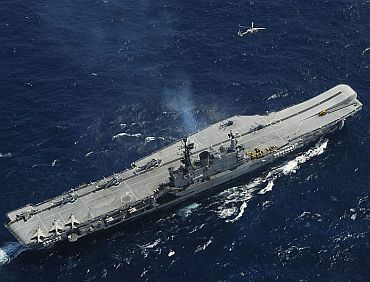 In the exercise, the Indian Navy will match the French Navy with its only aircraft carrier INS Viraat, two indigenous frigates INS Godavari and INS Ganga and one Shishumar class submarine, INS Shalki along with the Sea Harrier fighters. The harbour phase of the exercise is scheduled from January 7 to 10 and the sea phase will be conducted in the Arabian Sea from January 11 to 14. The scope of Varuna 10 includes the entire gamut of maritime operations ranging from Aircraft Carrier Operations, anti-submarine warfare operations and maritime interdiction operations exercises. Till date, 11 such exercises have been conducted. The last exercise Varuna 09 was conducted off the coast of Brest in France from June 27 to July 4 to coincide with the overseas deployment of Indian Navy ships to the Mediterranean and Atlantic.